You might not imagine that a day at Walt Disney World Resort requires much precision planning, but if you really want to make the most of it, packing the right things can save you valuable time, money and even temper tantrums! Personally, I am one of those super-organised types who can whip out a tissue, a pound coin or a plaster out of nowhere and can’t leave the house without a bag full of ‘what if’ items – so I have got planning what to pack for a day at Walt Disney World Resort down to a fine art! Of course a lot of it is down to your individual needs, but whoever you are, there are several things you definitely should not forget! First Things First: What kind of bag to take? The type of bag you take really depends on whether you are only catering for yourself, or including stuff for your family. I tend to use a backpack, and… a bum-bag!! Many may mock, but this waist-hugging receptacle means important items like my purse and phone are always safely on my person. Plus – no tan lines! Whatever bag you need – make it fun! We are a “Factor 50” family so it is essential for us to cover up in Florida! Rather than lugging the whole family-sized bottle of sun cream around, I will be applying 12-hour lotion first thing and bringing a small travel-sized bottle to the parks with me. Baby wipes can be a life-saver…. I know I’m not the only parent out there who is a bit OCD about cleanliness; if you knew how many germs you can pick up just by touching handrails or rest-room doors then you would be too! I keep a small bottle of anti-bac attached to my bag for ease of use. I also carry the wipes in case of emergencies and to wipe down tables, and some normal baby-wipes for sticky fingers and chocolatey mouths. Sneezes, pizza all over your mouth, accidentally sitting on a wet seat… you never know when you might need one! I often grab a few extra napkins in restaurants for the same reason. 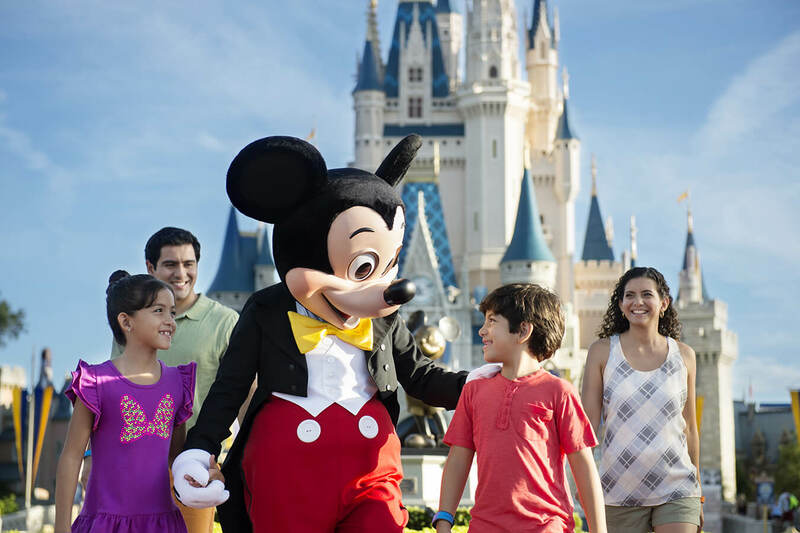 At Walt Disney World Resort you’ll be doing so much it can easily become a blur! I like to jot down little notes of the things we have done so far, usually during breaks or when waiting in lines. This year I will be recording what Tink thinks of each attraction as she is going to be a reviewer for The Unofficial Guide to Walt Disney World with Kids. A lot of the Disney Characters have huge hands which makes it hard to hold a regular pen, so a fat felt-tip or Sharpie is ideal if you want to get their autographs! 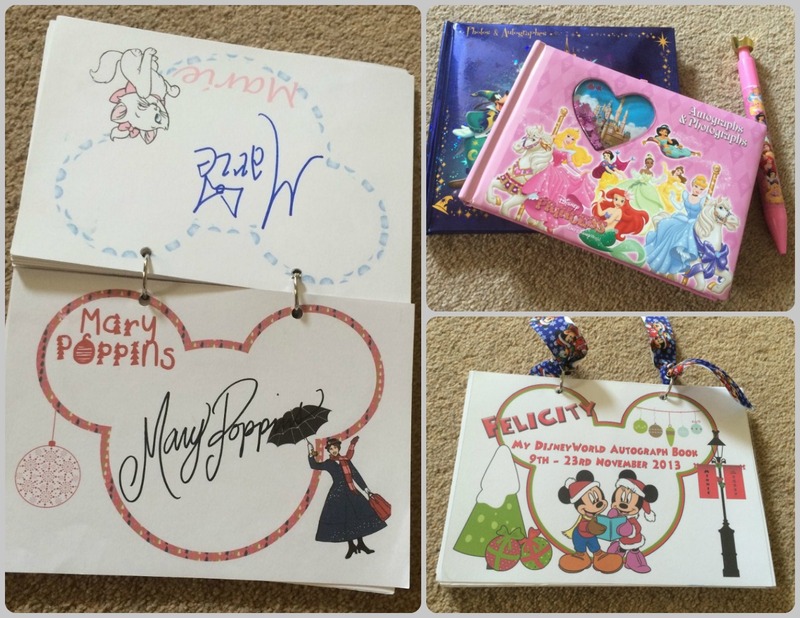 You can use anything to collect autographs in – a regular notebook, an official Disney one bought at the parks, or my personal favourite, a personalised home-made Disney Autograph book. The Characters love them and you’ll get some great interaction when they see their page! Official and Personal Autograph Books! Depending on the time of year you visit, you may need a cardie or hoody for the mornings and evenings. Even at hot times of year the A/C will often be on full blast when you get indoors (brrrrr) or you might find yourself soaked and shivering from a water ride or those predictable 3pm rainshowers! I advise a poncho or brolly at any time of year for the afternoon rainstorms, which can be anything from a quick shower to a total deluge! You can also wear ponchos on the water rides or to cover a stroller if you have parked it outside an attraction. (I would also suggest bringing a carrier bag to put the poncho into once it has been used). This is a no-brainer really – they will protect your eyes, face and head from the hot sun. Just remember to remove your hat on the thrill rides or you may never see it again! You WILL need to stay hydrated at Walt Disney World Resort; it’s usually hot and you’ll be doing a lot of walking around. The good news is, you don’t have to keep buying bottles of water – there are fountains in the parks where you can refill your bottle for free! Not keen on the Floridian water? Bring small concentrated squash pouches to make it taste nicer. It’s always useful to have a snack with you – particularly if you have little ones! Tink tends to get peckish at the most inopportune times, like when we’re nearly at the front of a line, so having a box of raisins or a cereal bar to hand is vital. If, like me, you suffer from low blood-sugar, having something like a banana can save the dizzy spells. We like to get the Chip n’ Dale trail mix as a snack credit and keep this with us, just in case. Tip: Chewing gum isn’t sold at the Disney Parks, so you may want to bring this with you too. My daughter is 6 now, but she is still perfectly capable of spilling an entire meal down her top! 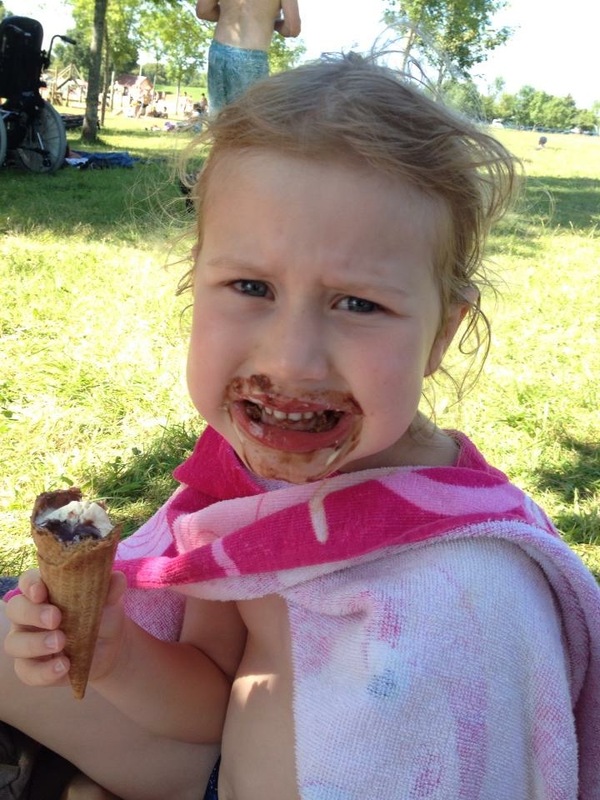 Add in the perils of ice-creams, sun-cream and her insistence on wiping her hands on her tee-shirt rather than the traditional napkin, then spare clothes become a necessity. You might also need a change of clothes in case there’s a surprise downpour, if your child wants to play in the fountains or if you have booked a Signature Dining Experience and you don’t want to be in your sweaty park attire. I tend to bring Tink a change if she has worn a princess dress into the parks – those pretty, long dresses can sometimes get a bit warm and itchy, so after she has met her heroes she can change back into shorts. You can get these pretty cheap from the US supermarkets, and being able to spray yourself with cool, refreshing water is worth its weight in gold when it is boiling hot and humidity is about 99%! Fill it with ice and top it up from the water fountains throughout the day. For non-Disney theme parks (at Walt Disney World Resort we wear MagicBands). This is very important if you wish to drink alcohol: In the States you will be asked to show ID even if you are clearly well over 21. VERY important to protect your lips in the sun. To take photos, use the My Disney Experience app and most importantly, to show off to my friends on Facebook that I’m here!! We LOVE pin trading, so always have a few cheap spares to trade if we see a Cast Member with one that we particularly like. 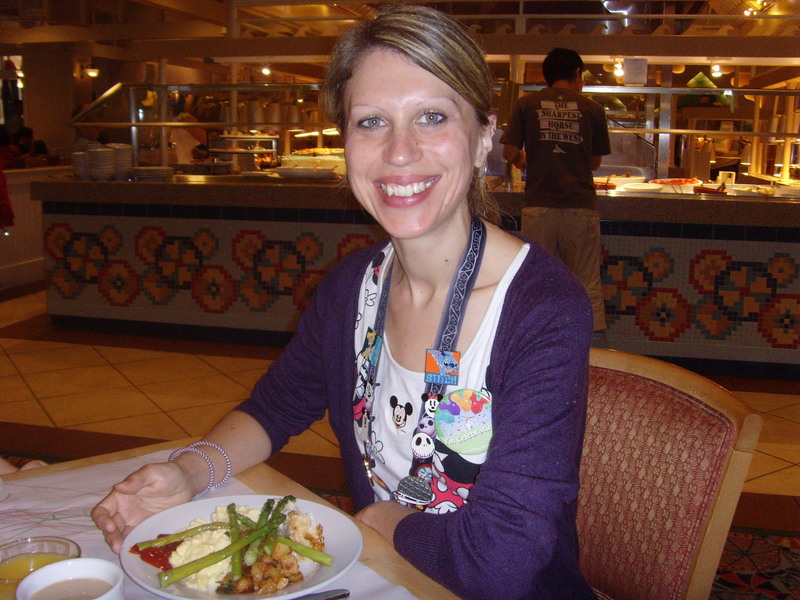 I’d recommend these packing tips for a day at any Florida theme park – though obviously if you are off to a water park, or have a baby with you, there will be a host of other stuff you’ll need too! What are your essentials for a day at the Disney Parks?